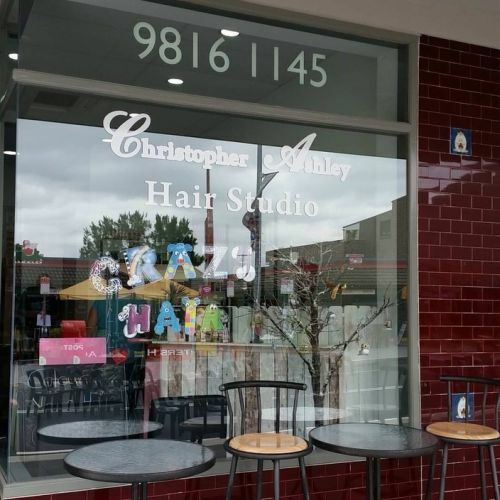 Christopher and Ashley are a highly qualified, talented brother and sister duo who have joined up together to create a unique, friendly and affordable hairdressing for all the family. Extensively trained using quality L'Oreal Professional products they produce amazing hair everytime. The science of beautiful hair comes from years of experience and ongoing training in a constantly changing industry so to achieve the look you want do come and experience Christopher Ashley Hair Studio. Friendly, creative and motivated team, guided by 26 years experience in the industry! Passionate about hair! Professional service including Botox, scalp therapy room, and soon introducing beauty! All under the one roof. Colour technical advisor on hand 24/7. Inspired by some of the industry's great, education is the key. If your feeling tired and bored with your look and would like some inspiration give our team a call! Our experienced and friendly team of professionals will be happy to provide you with a personalised service.